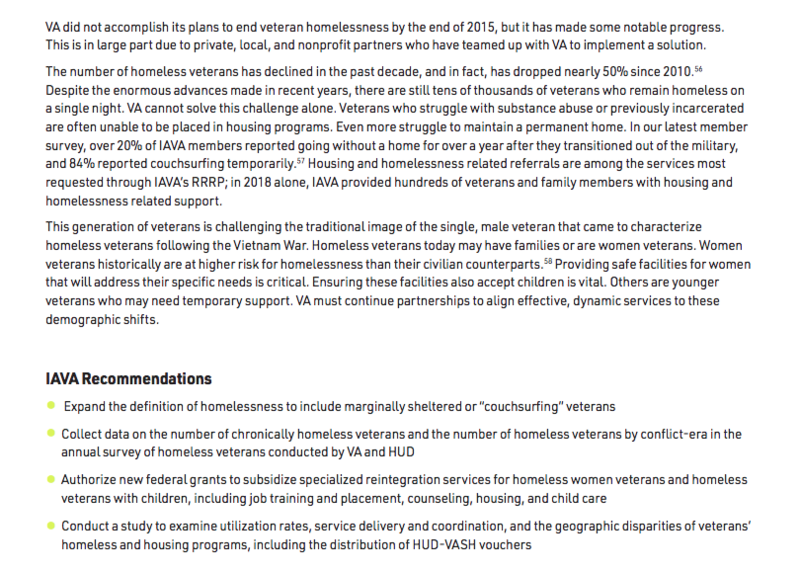 VA did not accomplish its plans to end veteran homelessness by the end of 2015, but it has made some notable progress. This is in large part due to private, local, and nonprofit partners who have teamed up with VA to implement a solution. The number of homeless veterans has declined in the past decade, and in fact, has dropped nearly 50% since 2010. Despite the enormous advances made in recent years, there are still tens of thousands of veterans who remain homeless on a single night. VA cannot solve this challenge alone.